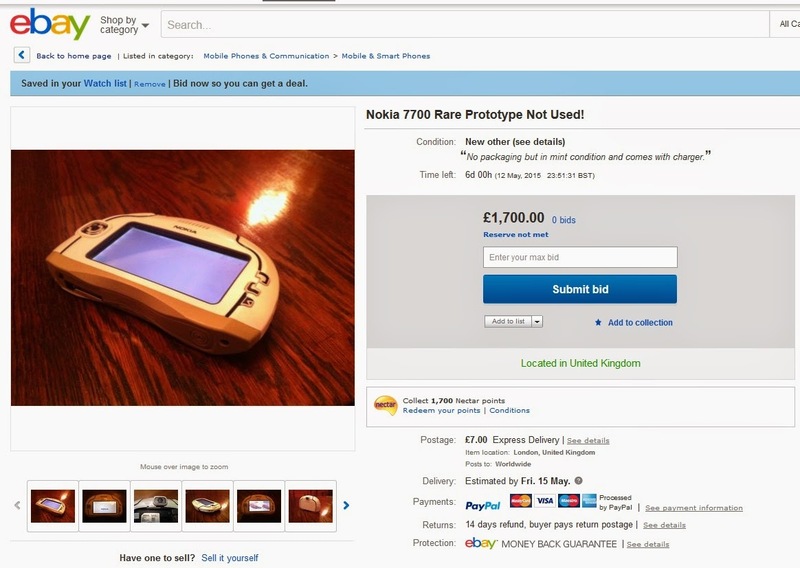 Last month a non-working example of the incredibly rare Nokia 7700 appeared on eBay in the UK and sold for £1020. Only a tiny handful of these have ever come to market, but now there is another one that appears to be in immaculate condition and is fully working (although bear in mind that this is a prototype) with a starting bid of £1700. Strictly one for collectors rather than somebody looking for a smartphone they can use every day, the Nokia 7700 is a highly unusual and rather beautiful device to look at. The product was cancelled before launch and only a small number of technology samplers were produced. 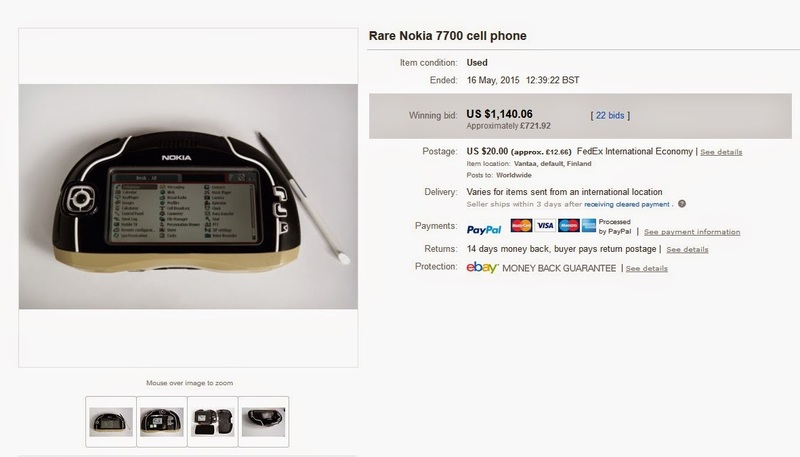 We'll be keeping an eye on this particular auction to see how it goes. But if you have one of these lying in a cupboard somewhere.. it is probably time to sell it! This Nokia 7700 didn't seem to sell at this price, but another Nokia 7700 in working order sold for $1,140.06 (approximately £720). This particular model was located in Finland, so perhaps many collectors missed out on it. There does seem to have been quite a few of these coming up for sale recently, which is unusual.